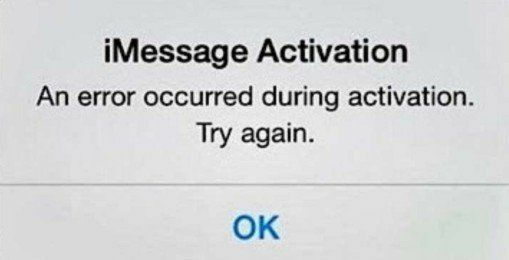 “Waiting for activation…” and after a while users get this message ”Activation unsuccessful. Turn on iMessage to try again’. Are you troubled by the pop-up error "iMessage Waiting for Activation" while you badly want to get the iMessage up and running? Looking for a quick and easy way to get this issue solved? This short post shows how to troubleshoot iMessage/Message activation issue on iOS devices (iPad, iPhone and iPod touch) running iOS 10.3/10/9/8 with 3 useful ways. If you have received this message, the first thing you need to do is make sure your internet connection is up to the mark since iMessage requires a very good internet connection to work properly. First of all, open Settings on your device, then head to Wi-Fi/Cellular andturn off the switch, reboot your device and turn on Wi-Fi/Cellular. If it doesn't work, then try to reset network settings. It will delete all the existing network settings and return them to factory settings. Settings → General → Reset → Reset Network Settings. Another factor may cause the iMessage activation error is your carrie, hence you’re supposed to make sure whether your carrier supports iMessage or not. Contact your Carrier support team and verify any limited condition on your for iMessage, blocks, or filters on text messages. Step 2. Turn on the Airplane mode. Wi-Fi will be turned OFF automatically. 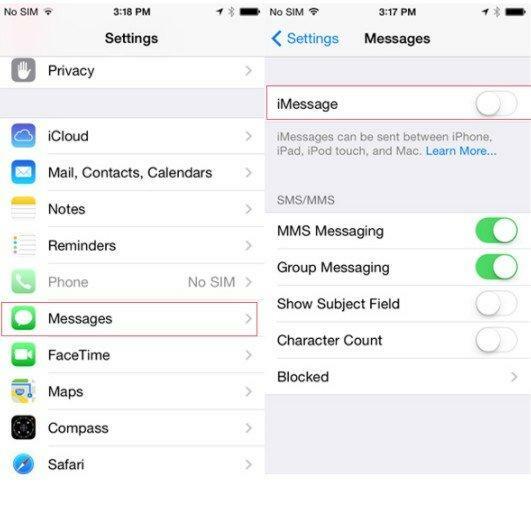 Step 3: Switch ON Wi-Fi, then head back to Messages and turn on iMessage. Step 4: You'll be prompted for your Apple ID if you haven't added it yet. Now, head back to Settings and turn OFF Airplane mode. Step 5: Mostly, you'll be shown a notification that says 'Your carrier may charge for SMS' – Tap on OK. If not, go to Messages, turn OFF iMessage and then turn it ON again. If all the solutions as mentioned above have failed to fix the problem, then update your device to the latest version. Simply tap on Settings → General → Software Update. If there is no update available, then you can try to use Tenorshare ReiBoot to get the issue solved, which can help you one click to fix all kinds of iPhone issues effortlessly and for totally free! Below are what you can try. Step 1: Download and install Tenorshare ReiBoot software on your PC. Connect your iPhone/iPad/iPod touch to computer with USB cable. Step 2: Once the “Enter Recovery Mode” is highlighted. Click it to put your iPhone, iPad and iPod into recovery mode. After you entered recovery mode, hit “Exit Recovery mode to restart your device. If the recovery mode still cannot solve your problem, you can solve “ iMessage waiting for activation” error by repairing the operating system--another feature of Reiboot. Step 1: After you launch Tenorshare ReiBoot, click “Fix All iOS Stuck” section in the main interface. Step 2:Then click “Start” and follow the on-screen instructions to put your device into recovery mode. Step 4: When the firmware package is downloaded completed successfully. Click “Start Repair” to start system recovery. When the repairing process completes, your iOS device will boot up and all is fine now. Your data and settings are kept and the problem has gone. Just pick up any one solution from the listed ones to work out your frustrations. By the way, any other suggestions and feedback are also welcomed.